The composite crusher is a composite crusher that integrates multiple crushing methods. It combines the advantages of counter-breaking, hammer breaking and ring hammer breaking. It adds a purlin screen at the material exit and realizes it on a crusher. The three-stage crushing, the crushing chamber is tall, and has the advantages of high efficiency, energy saving, simple maintenance, less wearing parts, long service life, and low labor intensity of workers. 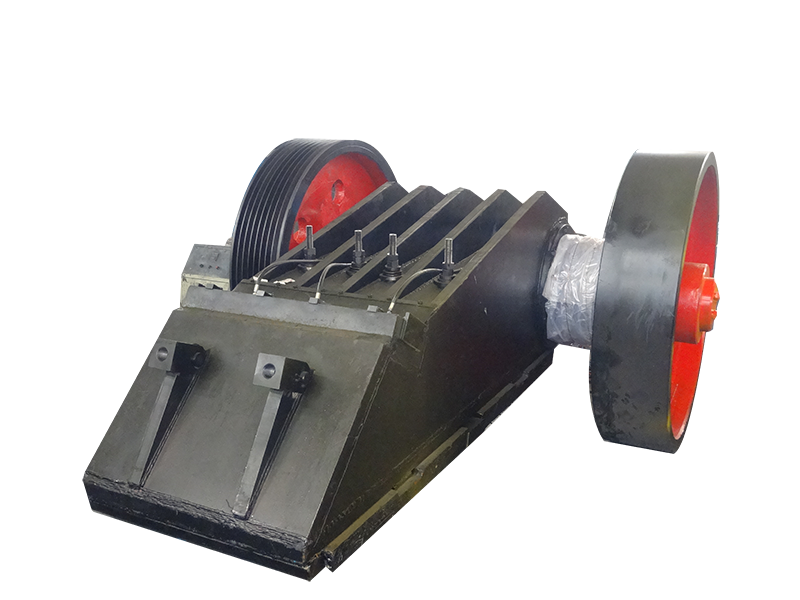 The crusher is especially suitable for fine crushing of fine coal and electrolyte crushing in tamping coking plant. It is widely used in cement, electric power, mining and other industries, especially suitable for limestone, slag, building materials waste, coal gangue, coal and other medium hardness. Medium and super fine work. The equipment has a high cavity, the side is fed, and the equipment is broken in three stages. The first and second stages of crushing: This section is broken by the principle of a counter-crusher. The machine is driven by a motor through a hydraulic coupling to rotate the rotor at high speed. A hammer head is hung on the rotor disc, and the material is separated by the centrifugal force and impacts the material at a high speed to crush the material for the first time. The hammered material splashes at a high speed on the counterattack plate, and collides with the counterattack plate to obtain secondary crushing. This is repeated. Therefore, for one hit of the material, three crushing can be obtained, which improves the crushing efficiency and reduces the energy consumption. This section of the crush fully reflects the advantages of low energy consumption and large crushing ratio of the impact crusher, but because of the random crushing, the crushing granularity of this section is not uniform. The third stage of crushing: the crushing principle of this section adopts the principle of hammer crusher. After the material falls onto the crushing plate, it is further crushed by the shearing, pressing and grinding of the hammer head and the particle size of the segment is uniform. Since the material has been broken in the previous stage, it is equivalent to greatly reducing the stroke of shearing, squeezing and grinding, thereby achieving energy saving and greatly reducing the wear of the hammer. The broken terminal is closely connected to the sifting screen, and the discharge granularity is strictly controlled, thereby greatly improving the yield of the finished product. Large crushing ratio,long service life of wear parts (6-8months), high efficiency, energy-saving, cost-reducing greatly. 2. Material characteristics, feeding size,discharging size,required capacity and moisture content should be presented in the contract. 3.Standard configuration does not contain the electrical control. If needed, please specify in the contract. It is mainly used for medium and small crushed cement raw materials and clinker. It is used for the crushing of other medium hard ores such as construction sand, iron ore, sandstone, gypsum, coal gangue and lump coal.